“Some pain is physical… some is mental….. one which is both, is dental”, so goes the old adage. Well… it is not entirely relevant today. While physical pain has been minimized to a great extent with scientific advances and better understanding of the subject; mental pain is still an area of concern. And that’s what we would like to address today. The fear of root canal treatment is still widely prevalent today. The fear is more so because of hearsay. Traditionally, Root canal treatment is supposed to be extremely painful and dreaded by most people. We approached Dr. S.M.Keswani – one of the leading Endodontists and a specialist in root canal therapy to help explain what “Root canal treatment” is in an easy to understand manner and clarify various doubts which in turn will help reduce fear in the minds of our readers. A tooth basically consists of two parts; the crown (outer portion visible in the mouth) and the root (the portion of the tooth below the gums). The outermost layer of the crown is enamel followed by dentine encasing the soft part that is the pulp in the centre. 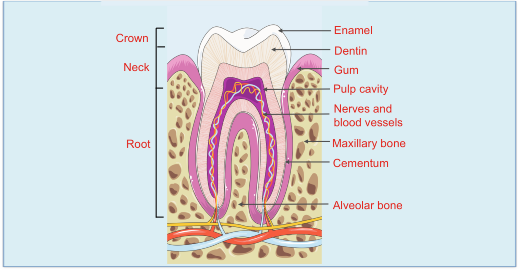 The root has cementum as its outermost layer followed by dentine and pulp. The pulp consists of connective tissue, nerves and tiny blood vessels. Whenever the central portion, that is the pulp is exposed to the external environment it gets infected and eventually dies. This could be because of caries (dental infection) or abrasion (because of overzealous brushing) or attrition (because of grinding of teeth) or because of fracture of teeth. If this dead tissue is not removed, the infection can spread to the apical bone and may cause a granuloma, cyst, abscess or even cellulitis or osteomyelitis. The patient at this stage has to take a decision to either save the tooth or extract it.Saving means getting root canal treatment done which involves physical removal of the infected pulp or the dead tissue as the case might be. The next step is towiden and shape the canals,disinfect it and fill it with an inert material like gutta-percha. Subsequently the access cavity is filled with a suitable filling material. Now this tooth functions as any normal tooth except that there is no moisture supply to this tooth. This makes the tooth dry and brittle. Hence to reinforce it, a cap may be given which restores the tooth to normal anatomy and function. 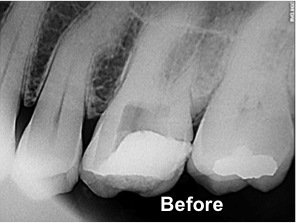 If for some reasons Root canal cannot be done then the only option left in such cases is extraction of the tooth. 1) Root canal treatment is painful: This is an age old myth which needs to be corrected right away. Root canal treatment does not cause pain; in fact it relieves pain. The procedure itself is no longer very painful with anesthetics and modern technologies coming in use. 90% of the patients today do not face any pain or experience negligible pain during the procedure under local anesthesia and whatever minimal pain they face post operatively is also taken care with analgesics. 2) Root canal treatment is a very long treatment requiring multiple sittings: The truth is that in most cases Root canal treatment is completed in one or two sittings. Very rarely, more sittings may be required. 3) Lot of medicines need to be taken during root canal treatment: This is not correct. Barring certain medical conditions and very badly infected teeth even basic antibiotics can be avoided during the procedure and very basic analgesics may/maynot be given in most cases. 4) Root canal treatment causes other illnesses: This is another common myth. Patients searching the internet may find a long rejected study by Dr.Price in 1920. This study was carried out when the causes of disease in medicine were still not very clear. He advocated extraction of pulpally involved teeth. This led to a frightening era of extraction for treatment of systemic diseases and as a preventive measure against future illness. In early 1930s itself a lot of research was carried out and his theory was proved wrong. There are many healthy patients of mine today who have got multiple root canal treated teeth where the procedure had been done more than 2 decades back. 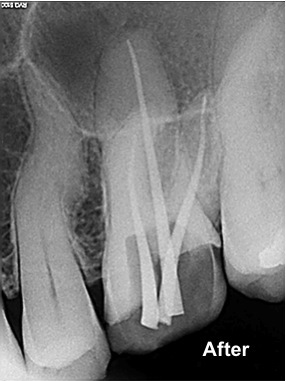 5) Extraction is a better option to root canal treatment: Not true. Nothing can really replace a natural tooth in terms of aesthetics or function or longevity.Hence definitely root canal treatment is a better option than extraction. You can never eat as well with your artificial teeth (given after extraction) as you would be able to with root canal treated teeth. There is always a limitation in the ability to eat certain foods with these artificial teeth. Some feel Root canal treatment is very expensive and hence go for extraction as a cheaper option. Even this is not correct because the cost of Root canal and subsequent capping turns out to be cheaper than an extraction followed by a bridge or an implant. The success rate of Root canal treatment could be as high as 90-98%. Many Root canal treated teeth last a lifetime. Having said that, there are certain teeth which are very badly broken down or are complicated in anatomy and though can be salvaged with Root canal treatment; cannot be restored back to optimum levels to serve the patient for a sufficiently long duration of time. Extraction may also be an option here. Such a case needs to be discussed between the patient and the endodontist and an appropriate decision may be taken. A second opinion may also be warranted. But the ground rule is always to save the natural tooth as much as possible. Scores of healthy Root canal treated teeth are serving people all over the globe and helping them eat well, stay healthy and have a broad smile. 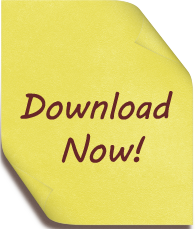 Dr. S.M.Keswani, M.D.S in Endodontics has been practicing for 23 years in the Chunabhatti suburb of Mumbai. He specializes in root canal treatment in addition to routine dentistry. Truly demystified. Even being a doctor I wasn’t certain why the incidence is rising. Now, I know! Thanks Dr.Asrani for your kind words. Very nice and informative indeed.